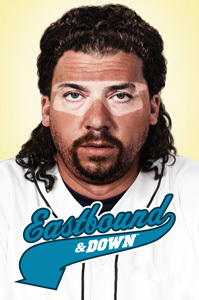 HBO premiers a new half-hour sports comedy on Feb. 15 called "Eastbound & Down." It stars Danny McBride (Tropic Thunder, Pineapple Express, The Foot Fist Way) as an arrogant, burned-out, former major-league pitcher named Kenny Powers, who is forced to return home to North Carolina to teach Phys Ed at the middle school he once attended. While there he plots his return to the big leagues, hits on his high-school sweetheart (who's engaged to the school principal) and does his best to impress his students. Shot in North Carolina, the series is produced by Will Ferrell (who guest stars in two episodes), Adam McKay, Chris Henchy, Jody Hill, Danny McBride and Ben Best. 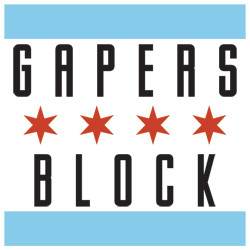 HBO is showing a preview screening event this Wednesday, Feb. 4, at the Cubby Bear, 1059 W. Addison, from 7pm to 10pm. There'll be free drinks and food, DJ Timbuk2 and obviously an episode or two of the show. It's free, but you have to RSVP. Space is limited, so get there early. Sorry kids, it's 21 and over. But wait! Tailgate has 10 pairs of VIP tickets to give away! You'll be guaranteed entry, and get some sweet shwag like middle finger foam hands and drink cozies. 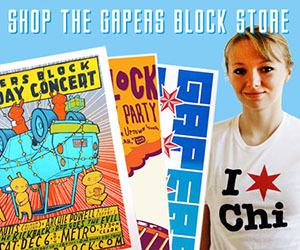 Just email contests @ gapersblock.com with the subject line "Eastbound" and include your full name for the guest list. We'll choose 10 entries at random to attend. UPDATE: We've got our 10 winners. Congrats, everybody!